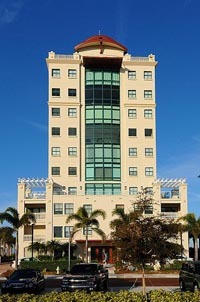 Those who have set on a search for a prime residential condominium in Sarasota, Florida, have a pleasant option in the Majestic Bay at 258 Golden Gate Point. This Sarasota condo development is nestled near the downtown area and just beside the eastern approach of the panoramic Ringling Bridge. Luxury and exclusivity is the immediate impression that this community brings as it has only ten residences in a building built in 2004. The marketability of this property definitely owes much to its location at the twenty-two acre Golden Gate Point, a peninsula blessed with magnificent views of the Sarasota Bay and proximity to all the amenities that the city and its suburbs have to offer. Its market strength is also no doubt generated by the recent improvements within the peninsula which is considered as one of the prime locations in Sarasota, Florida. The upgrading included the replacement of the asphalt streets with cobblestone pavers and the ornate refurbishing of the entrance to the enclave of condo properties. But most notably, the intrinsic allure of the condos for sale at Majestic Bay lies on the excellent design and construction of each residence. Each residence in the condo has generous living spaces with one entire floor assigned to only one residence, a configuration that also enhances the residents’ privacy as well as provides 360 degree views of the downtown area and Sarasota Bay. Condos for sale at Majestic Bay measure between 2,700 square feet and 3,000 square feet, and all are provided with a foyer, balcony, and private elevator. The asking price for the two-bedroom condos for sale at Majestic Bay can start at around $1.6 million, while the three-bedroom Majestic Bay condos for sale located on one of the upper floors can be offered in the market in the $2 million range. Living at the Majestic Bay means to partake of the myriads of community facilities in the complex. Among these are deep water boat docks, a heated pool and spa, a fitness center, a library, and a media room. The residents can also avail of a wine storage and vehicle wash facilities. Additionally, the homeowners’ association allows pets in the community provided that these don’t exceed forty-five pounds in weight. The in-house delights at the neighborhood are complemented by the fabulous centers for the arts, culture, and entertainment in downtown Sarasota. Among these are the Ringling Museum of Art and the Florida Studio Theater, which are quite easily accessible from the condo community. Shopping and dining venues are likewise within arms’ length of the residents, ranging from those at the Merchants District to the classy establishments of St. Armands Circle that further stimulate interest in Sarasota condos for sale like Majestic Bay. 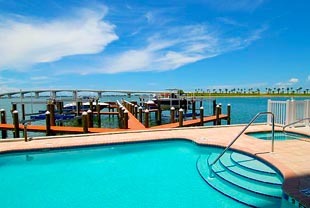 Below are all of the current condo listings available for sale in Majestic Bay.